If you make a booking to attend the Into Film Festival, there are some conditions you should be aware of. Why do you need my mobile number when I make a booking for the Festival? We may need to contact you on your mobile if any notable problems arise with an Into Film event or service you have signed up to. (e.g. an Into Film Festival event you have booked or an Into Film Club you have set-up). Into Film may record and/or photograph events during the Into Film Festival for repurposing on our website, social channels (Twitter, Facebook, Instagram, etc), YouTube and Vimeo channels and educational materials. Where this is taking place we will use notices to make people aware that we are recording and to allow them the chance to opt out of any recording or photography. In return for access to the event, you irrevocably consent to any such filming, photography and/or live streaming and to Into Film reproducing and publishing your words and/or likeness in any transcript of or publication relating to the event and/or for the purposes of publicising the services of Into Film and its partners. 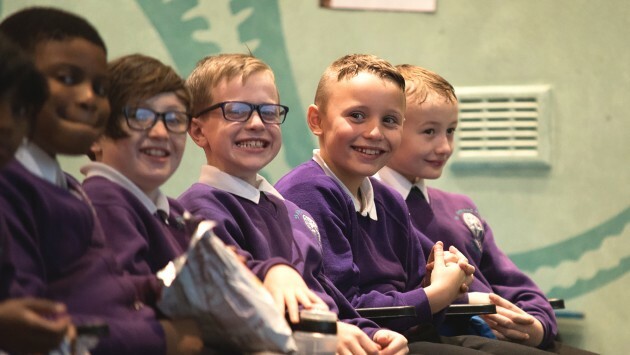 The adults who chaperone young people at Into Film Festival events are responsible for the behaviour and well-being of their group. Cinemas are offering these spaces for free, so we kindly ask that groups be respectful of this and to please clean up after themselves, bringing their rubbish out of the cinema with them or disposing of it into bins. It is the responsibility of the person that books to ensure that the correct risk assessments are undertaken and permissions sought. If you need to cancel or change your booking, please contact the Festival Bookings team as soon as possible so we can inform the cinema or releases the spaces. 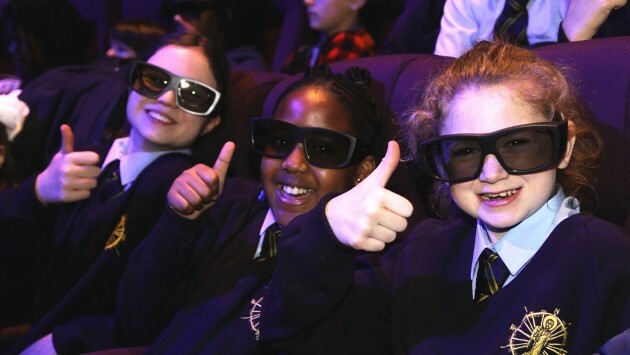 All Into Film Festival events are completely free of charge thanks to the generosity of our partners, including cinemas who donate their venues and staff's time in-kind. If you are not able to attend, please give us a minimum of 48 hours notice to allow these places to be offered to another group and minimise the costs incurred by our partners. We do understand that sometimes, for reasons out of your control, you are unable to attend, although if you do not give us prior notice you may be liable for a charge of up to £100. Event Safety - This is a comprehensive Event Safety guide which represents the necessary safety precautions associated with this activity. It should be viewed by all Bookers and Group Leaders. Please note: whilst all venues are chosen based on their existing interest and experience in public activities and film events we are unable to vet each individual venue. We cannot guarantee the participation of a venue in the Into Film Festival each year. We advise all Group Leaders to become familiar with the Fire Emergency Procedures, medical procedures and facilities at your venue, so you can make provisions for your group's needs. You can obtain Health & Safety information about your venue in advance by contact our Bookings team. 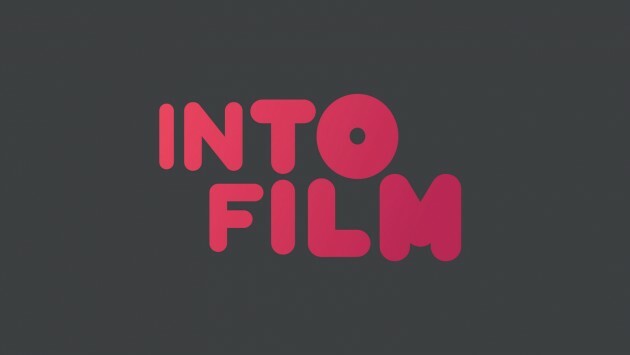 The Into Film Festival Review Writing Competition (the competition), is open to all students and teachers in England, Scotland, Wales and Northern Ireland, who have attended screenings or events as part of the Into Film Festival 2018 - except for employees of We Are Futures, Into Film, and their families and members of their household, agencies or any other company directly connected with the administration of this prize draw. By entering the competition, entrants agree to be bound by the rules and other requirements set out in these terms and conditions. An entry is defined as a 300 word film review with completed entry form. The entry must be submitted by post to FREEPOST RTAE-BAZG-CSZZ, FILMCLUB, Damasco House, 31 Islington Green, London N1 8DU, by Monday 10 December 2018. The submitted review should be the sole work of the entrant. It is the entrant's responsibility to ensure that they do not infringe copyright of any third party or plagiarise any other person's work. Student entrants will be asked to provide a parent/guardian/teacher's email address, who will be the point of contact for all ongoing communication about the competition. To be eligible for this competition, entries should be received via post by Monday 10 December 2018. The promoter reserves the right to revise this date and extend the period for accepting entries for the competition in the event of circumstances arising beyond its reasonable control. All entries will be judged by members of the Into Film Education Team. There will be one winner selected for each of the four categories: Primary (for pupils at primary school aged 5 - 11), Secondary (for pupils at secondary school aged 11 - 16), Sixth form (for students aged 16 - 19), Audio-description (for students of any age, with sight loss, reviewing the audio-description track of a film). Only the winner will be notified via their parent/guardian/teachers email address by 5pm on Friday 8 February 2019. The winners of each category will receive £200 of cinema vouchers for their class and an Amazon Fire HD 8 Tablet for themselves. The prizes will be processed within 14 days of the winner accepting. The promoter accepts no responsibility for the loss, non-delivery, delay or damage of the prize in dispatch or transit. The prize must be accepted as awarded. No alternative prize is available and the prize is non-transferable and non-negotiable. We will not pass on your details to any other organisation other than the promoter and any 3rd parties associated with this prize draw. The Promoter reserves the right in his/her reasonable discretion: A) to disqualify any competitor whose conduct is contrary to the spirit of the rules or the intention of the promotion and to declare as void any or all of their claims or entries based on such conduct. B) to add to or to waive any rules on reasonable notice including but not limited to opening and closing times. C) and/or to cancel the promotion or any part of it at any stage in the event of circumstances beyond reasonable control. Incorrect, incomplete, or illegal entries will not be accepted. The Promoter accepts no responsibility for lost, undelivered, delayed, damaged or mislaid entries. The Promoter reserves the right to verify the eligibility of all entrants and disqualify any entry which is not in accordance with the rules. All prizes will be awarded on condition that the prize winner agrees to take part in Into Film Festival and We Are Futures publicity and promotions as appropriate. If this condition is not met by the winner, the prize will be awarded to another entrant that does agree to this condition. We will not pass on the winners details to anyone other than the promoter. The vital support of our Partners has helped make Into Film Festival the world's largest free annual film festival.